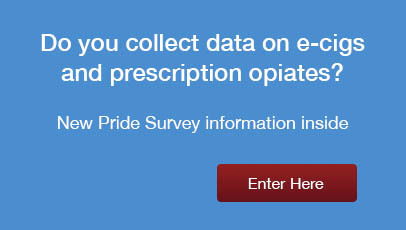 With a wide range of scalable reporting services and survey topics, ranging from substance abuse, school climate surveys, bullying/mental health, and even customized large and small-scale surveys for state agencies and grant recipients, our survey data company offers tailor-made solutions to fit your needs. Please call (800) 279-6361 for pricing and any questions you may have about our customized questionnaires for students, teachers, parents and communities. Pride Surveys is dedicated to our customers and our customer service, and we continue to innovate in the field of student surveys, data collection, and reporting. Our survey company makes it a priority to complete your orders fast – without compromising our integrity or reliability. Almost all orders that we receive are shipped by the next business day – and we offer a two-week turnaround on reporting for all standard product orders. Additionally, our all-inclusive prices mean you won’t get charged with hidden fees or additional, indirect costs! We’ll tell you what your order costs up-front – without any add-on fees for shipping, processing or more. See why more than 14 million students, parents and faculty members have responded to Pride Surveys by reading about our survey company – or browse our survey products to learn more about our offerings! Please also take a moment to try out our easy-to-use electronic dashboard, where you can navigate, analyze and share the data you collect with your team or staff! If you have any questions about our survey services or pricing, please reach out to our team at (800) 279-6361 – we’re glad to help! Are you a newly formed coalition? Did you just receive your first year DFC grant? If you answered yes to both of these questions you qualify for half off your first survey order from Pride Surveys. Please give us a call and let us jump start your coalition with some serious savings in your first year. Why Conduct a Student Survey? Check out our new school climate surveys and see what they will mean to your school and school system! a course to greater academic achievement. Message for Drug Free Communities and Coalitions: DFC guide to data collection.